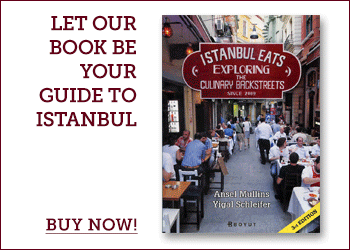 Tucked into the street behind the yet-to-be gentrified docks at Karaköy, among shops advertising boat tickets to Odessa and cubby-sized import and export offices, is the neighborhood’s culinary port of call, Karaköy Lokantası. With great food, personable service and tasteful décor, this family-operated eatery defiantly proves that a good dining experience doesn’t have to come with a shocker of a bill. Traditional Turkish desserts like fruit compote, rice pudding and aşure, a curious blend of fresh and dried fruits, nuts, wheat and rosewater, are on offer. However, we recommend satisfying the sweet tooth with some of the best baklava in town, right down the street at Güllüoğlu. Otherwise, treat yourself to a walk through this interesting, slightly scruffy neighborhood of seemingly abandoned churches, scuba gear shops, Ottoman-era banks and even a couple of bordellos. May Day Special: Eat Union! Carpetblogger, stay tuned, there’s actually a lot more to be said about the dining scene in Karakoy, which we think is one of Istanbul’s great undiscovered food haunts. We found two restaurants in Istanbul first class: Sarnic on Sogukcesme Sok No. 30, near Hagia Sofia and Karaköy Lokantasi on Kemankes Caddesi No. 37 in Beyoglu. The latter is more matter of fact, offers even better food for more modest prices. Highly commendable! I used to go here everyday (I mean everyday) for lunch. I have pretty much eaten everything on the menu. Btw, admin; if you find a better restaurant for this type of food, please let us know. I cannot imagine a better place to eat for this type of homemade dishes. There is one place I used to go before I knew Karakoy Lokantasi. It was called Karakoyum. It was not bad but no Karakoy Lokantasi. We are really surprised to hear about your experience. It is true that the evening scene is a good bit different from lunch, which we prefer. During the day, the owners do the seating themselves and they speak English and German. We’ll check on the prices and update the post. I am the owner of Karakoy Lokantasi. First of all thank you very much for your honest comments. I could not stopped myself to make some comments as well. Karakoy Lokantasi is a very well known local restaurant, not a touristic one. Therefore all our evening staffs are Turkish, they are all professionals and yes they do not speak any other languages. But we have an English menu and the first thing we do is to give the menu to our guests especially if they are foreigners. Also, as the owners of the restaurant, we are always at present both at lunch and dinner service and we welcome all our guests at the door and do the seating. Therefore we were very surprised to read your comments. We thought that you may had been at another place with a similar name. 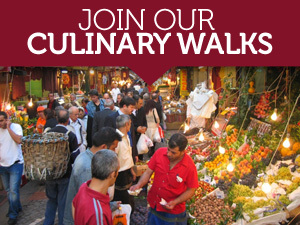 So, if you every have a chance to come to Karaköy again, you are very welcome to visit real Karakoy Lokantasi. This place is excellent all round – food, service, decor. The prices too are very reasonable for the high quality. I don’t see it as a fault that the staff are not speakers of languages other than Turkish. 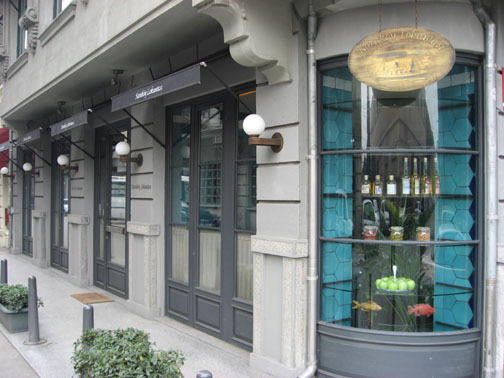 I had a fantastic meal at Karakoy Lokantasi when I was in Istanbul and would recommend it to anyone who wants a boutique atmosphere, excellent food, great wines and a lovely host! Looking forward to going back there when I get back to Turkey! I enjoyed a meal at your wonderful restuarant march 2011 and still think of it as one of the most delightful places I have enjoyed lunch at. 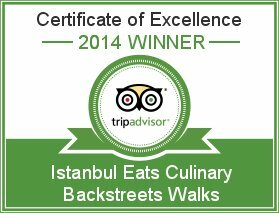 As a foodie from Portland oregon USA I can say this restaurant was amazing and best place we ate in istanbul. We walked in on Friday dinner and got the last unreserved table. The dinner menu was in English and Turkish. Our waiter and manager and possibly the owner were fantastic and accommodating. When I got up to look at case of meze. He recommended we pick 5, we asked what his favorite were as well. We had smoked octopus, stuffed mussels, marinated sea bass, eggplant salad, marinated artichokes. We split the lamb chops and I got the Helva and also the special dessert of figs with walnuts. 2 glasses of their red wine. Which was great. We felt very much a part of the local scene here in istanbul and will be first place I come back to. With a reservation of course. Excellent site. Plenty of useful information here. I am sending it to several friends ans also sharing in delicious.